Roatán Island is the largest of the Bay Islands of Honduras; the group stands about 30 to 50 miles off the coast. It is, in many ways, one of the shining hopes of an otherwise grim nation beset by violence and other troubles mostly related to the northward traffic in drugs from South America to the market in the United States. Roatán stands far enough offshore to be out of the way and also isolated enough to allow for the cultivation of what the Hondurans hope will flourish as a small version of Costa Rica, a green and relatively safe paradise. Roatán is close to the Mesoamerican Barrier Reef, the largest such natural reef in the Caribbean Sea, and indeed the second largest in the world after Australia’s Great Barrier Reef. Off the island, parts of the ocean floor are carpeted with stars. The mainland of Honduras is bordered to the west by a small neck of land that gives Guatemala its only port on the Caribbean at Puerto Barrios. To the southwest is El Salvador, and to the southeast Nicaragua. A tough neighborhood, across history and even now. 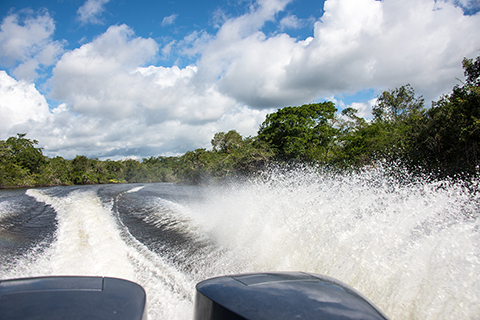 Honduras spans an area of about 112,492 square kilometers or 43,400 square miles: a relatively small country about the size of Cuba or Iceland, or the American state of Ohio. In that area is a population exceeding 8 million, with about a quarter of that number in and around the nation’s capital, the answer to a trivia question: Tegucigalpa. Honduras is not wealthy, although it is rich in natural resources: Minerals like gold, silver, copper, lead, antimony, coffee, tropical fruit, sugar cane, a bit of coal, and fish and shrimp. 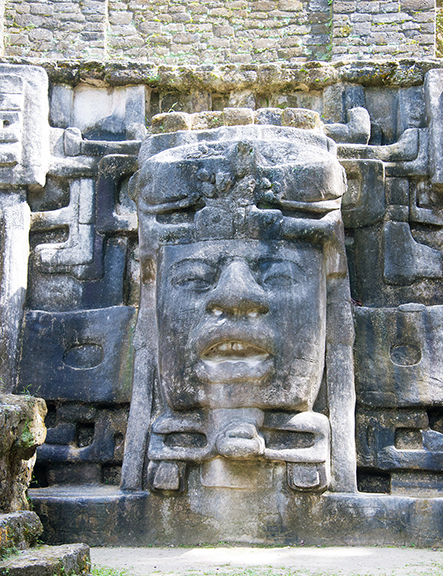 The place we now call Trujillo was the first place Columbus touched on the Central American mainland. 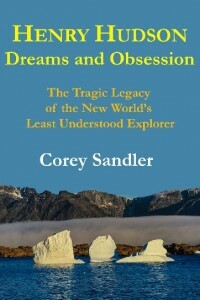 Prior to that, on his four voyages, he had only landed on islands and at the top of South America. He never landed on the mainland of North America. 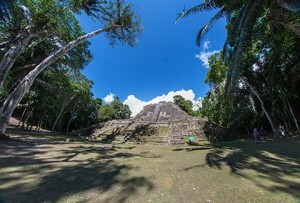 Columbus named the place “Punta de Caxinas”. Caxinas is a port in northern Portugal, above Porto. And Columbus named the deep waters of the area the Golfo de Honduras, the Gulf of the Depths. In 1524, shortly after the conquest of Mexico by Hernán Cortés. 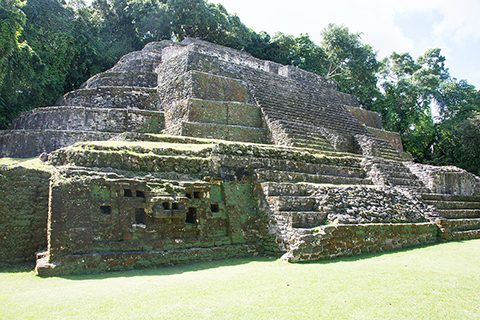 the first city of Honduras–Triunfo de la Cruz–was founded near where modern Trujillo stands. About 50 to 60 percent of the population is considered below the poverty line. On the plus side, the economy has grown 3 or 4 percent in each of recent years, which is good, although the increases were building from a very low level. In the late nineteenth century, Honduras became one of the Banana Republics” dominated by United States-based fruit companies granted substantial land and privileges. Thousands of workers came to the north coast to work in the banana plantations and the other industries that grew up around the export industry. The industry was dominated at first by the Cuyamel Fruit Company, then the United Fruit Company, and others. Labor difficulties in Honduras led to American military or police actions seven times between 1903 and 1925. The fruit companies also encouraged immigration of workers from the English-speaking Caribbean, notably Jamaica and Belize, who introduced an African-descended, English speaking and largely Protestant population into the country. The American author William Sydney Porter—better known today under his pen name of O. Henry—spent about a year living in Honduras, primarily in Trujillo. Text and photos Copyright 2016 by Corey Sandler. Belize is a 35-year-old nation that strives for economic and political stability; it still has a way to go. It’s a hot place, but you’ve got to love a people who chose as their national motto: “Sub Umbra Floreo”. 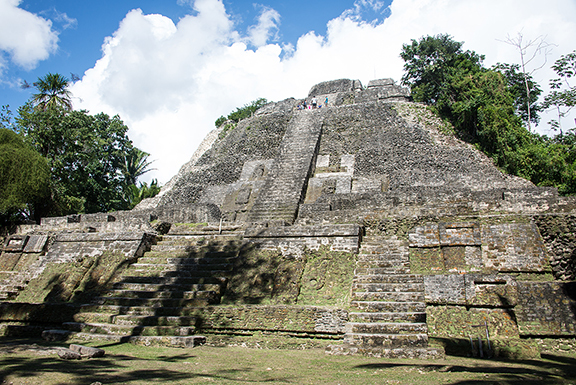 Belize is not quite as advanced in tourist infrastructure as Costa Rica—few places in this part of the world are—but that seems to be its goal. 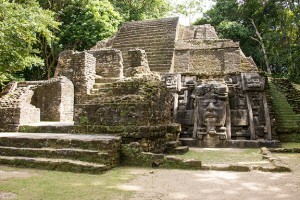 And Belize has the added attraction of several significant Mayan sites and some spectacular offshore reefs. Lamanai has only been explored in the last 40 or so years, and it is still mostly covered and rather difficult to get to. It was occupied as early as the 16th century BC, and continued to be used up to the 17th century of the modern era. How difficult? Our ship had to put down its anchor about a mile offshore to avoid damaging the spectacular offshore barrier reef (second only to the reef in Australia in size). 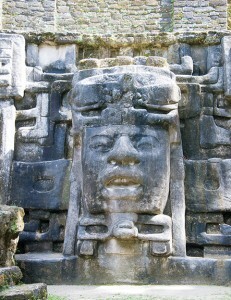 So, my trip to Lamanai (ancient Mayan for submerged crocodile) began with a long tender ride to shore. Then a 90-minute drive in a superannuated bus on a minimal road to the headwaters of the New River. From there by open speedboat another 90 minutes into the deep jungle. The good news: Lamanai was worth all the effort, and we had the place almost to our own, along with the bold and loud howler monkeys. During the Spanish conquest of Yucatán, Spanish friars established two Roman Catholic churches here, but a Mayan revolt drove them out. 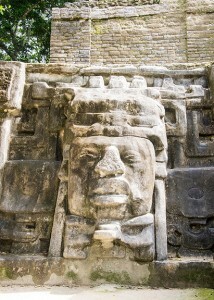 When the British settled in Lamanai, they installed a sugar mill at the site. Archaeological work has concentrated on the larger structures, most notably the Temple of the Masks, the Jaguar Temple, and High Temple. 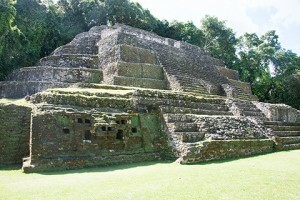 A significant portion of the site remains under grassy earth or is covered in dense jungle growth.